.requires("test")               // means it won't be run until after "test"
Third, actually execute that build – although in the current version, none of the target executors have an actual implementation, so all they do is create a file with their name and the current time stamp under the target directory. The default build graph that is implemented contains targets that pretend to assemble the classpaths (placeholder for downloading any necessary dependencies) for the main code and the test code, targets that compile the main and test code, a target that runs the tests, and a target that pretends to create a package. As the sample code above hints, I’ve got three projects: Bygg itself, a dummy plugin, and a test project whose build requires the test plugin to be compiled and executed. Using annotations (instead of naming conventions) and generics (for type safety) in the configuration classes – I’m compiling and loading the configuration files using a library called Janino, which has an API that I think is great, but which by default only supports Java 4. There’s a way around it, but it seems a little awkward, so I’m planning on stealing the API design and putting in a front for JavaCompiler instead. Updating the returned classes (Plugins and ByggConfiguration), as today they only contain a single element. Either they should be removed, or perhaps they will need to become a little more powerful. Changing the names of stuff – TargetDAG especially is not great. There’s a lot of noise, much of which is due to Java as a language, but some of which can probably be removed. The Plugins example above is 11 lines long, but only 2 lines contain useful information – and that’s not counting import statements, etc. Of course, since the number of ‘noise lines’ is pretty much constant, with realistically large builds, the signal to noise ratio will improve. Even so, I’d like it to be better. I’m pretty sure it’s a good idea to move away from saying “this target requires target X” to define the order of execution towards something more like “this target requires the compiled main sources”. But there may well be reasons why you would want to keep something like “requires” or “before” in there – for instance, you might want to generate a properties file with information collected from version control and CI system before packaging your artifact. Rather than changing the predefined ‘package’ target, you might want to just say ‘run this before package’ and leave the file sitting in the right place in the target directory. I’m not quite sure how best to deal with that case yet – there’s a bit more discussion of this a little later. Anyway, all that should be done in the light of some better understanding of what is actually needed to build something. So before I continue with improving the API, I want to take a few more steps on the path of execution. As I’ve mentioned in a previous post, a build configuration in Bygg is a DAG (Directed Acyclic Graph). A nice thing about that is that it opens up the possibility of executing independent paths on the DAG concurrently. Tim pointed out to me that that kind of concurrent execution is an established idea called Dataflow Concurrency. 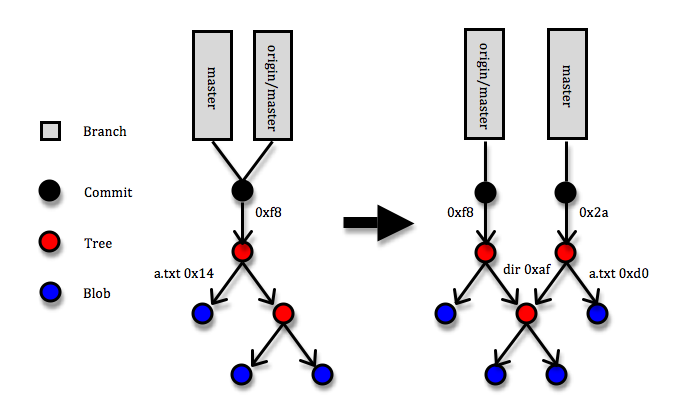 In Java terms, Dataflow Concurrency essentially boils down to communicating all shared mutable state via Futures (returned by Callables executing the various tasks). What’s interesting about the Bygg version of Dataflow Concurrency is that the ‘Dataflow Variables’ can and will be parameters of the Callables executing tasks, rather than being hard-coded as is typical in the Dataflow Concurrency examples I’ve seen. So the graph will exist as a data entity as opposed to being hardwired in the code. This means that deadlock detection is as simple as detecting cycles in the graph – and since there is a requirement that the build configuration must be a DAG, builds will be deadlock free. In general, I think the ability to easily visualise the exact shape of the DAG of a build is a very desirable thing in terms of making builds easily understandable, so that should probably be a priority when continuing to improve the build configuration API. Another idea I had from the reference to dataflow programming is that the canonical example of dataflow programming is a spreadsheet, where an update in one cell trickles through into updates of other cells that contain formulas that refer to the first one. That example made me change my mind about how different targets should communicate their results to each other. Initially, I had been thinking that most of the data that needs to be passed on from one target to the next should be implicitly located in a well-defined location on disk. So the test compiler would leave the test classes in a known place where the test runner knows to look for them. But that means loading source files into memory to compile them, then writing the class files to disk, then loading them into memory again. That’s a lot of I/O, and I have the feeling that I/O is often one of the things that slows builds down the most. What if there would be a dataflow variable with the classes instead? I haven’t yet looked in detail at the JavaFileManager interface, but it seems to me that it would make it possible to add an in-memory layer in front of the file system (in fact, I think that kind of optimisation is a large part of the reason why it exists). So it could be a nice optimisation to make the compiler store files in memory for test runners, packagers, etc., to pick up without having to do I/O. There would probably have to be a target (or something else, maybe) that writes the class files to disk in parallel with the rest of the execution, since the class files are nice to have as an optimisation for the next build – only recompiling what is necessary. But that write doesn’t necessarily have to slow down the test execution. All that is of course optimisation, so the first version will just use a plain file system-based JavaFileManager implementation. Still, I think it is a good idea to only have a very limited number of targets that directly access the file system, in order to open up for that kind of optimisation. The remainder of the targets should not be aware of the exact structure of the target directory, and what data is stored there. I’m hoping to soon be able to find some more time to try these ideas out in code. It’ll be interesting to see how hard it is to figure out a good way to combine abstracting away the ‘target’ directory with full freedom for plugins to add stuff to the build package and dataflow concurrency variables. I’ve said before that the one thing that Maven does amazingly well is dependency management. This post is about how to do it better. Declaring a dependency looks pretty much identical to using one – the only difference is that the declaration is enclosed inside a <dependencyManagement /> section. This makes it hard to know what it is you’re looking at if you have a large number of dependencies – is this declaring a dependency or actually using it? It’s perfectly legal to add a <version/> tag in the plain <dependencies /> section, which will happen unless all the developers touching the POM a) understand the distinction between the two <dependencies /> sections, and b) are disciplined enough to maintain it. // a web user interface, or whatever. // the collection is Collection, indicating that it isn't ordered. // In the module to be built, define how the declared dependencies are used. // over into a packaged artifact like a WAR). The combination of a Collection of ArtifactVersions and a List of Dependency:s is then used by the classpath assembler target to produce an actual classpath for use in compiling, running, etc. Although the example code shows the Dependency:s as a plain List, I kind of think that there may be value in not having the actual dependencies be something else. Wrapping the list in an intelligent object that gives you filtering options, etc., could possibly be useful, but it’s a bit premature to decide about that until there’s code that makes it concrete. Using enums for the artifact identifiers (groupId + artifactId) gives a more succinct and harder-to-misspell way to refer to artifacts in the rest of the build configuration. Since you’re editing this code in the IDE, finding out exactly what the artifact identifier means (groupId + artifactId) is as easy as clicking on it while pressing the right key. If the build configuration is done using regular Java code, shared configuration items can trivially be made available as Maven artifacts. That makes it easy to for instance have different predefined groups of related artifacts, and opens up for composed rather than inherited shared configurations. Very nice! In the last bit, where the artifacts are actually used in the build, there is an outline of something I think might be useful. I’ve used Maven heavily for years, and something I’ve never quite learned how they work is the scopes. It’s basically a list of strings (compile, test, provided, runtime) that describe where a certain artifact should be used. So ‘compile’ means that the artifact in question will be used when compiling the main source code, when running tests, when executing the artifact being built and (if it is a WAR), when creating the final package. I think it would be far simpler to have a set of flags indicating which classpaths the artifact should be included in. So MAIN means ‘when compiling and running the main source’, TEST is ditto for the test source, and PACKAGE is ‘include in the final package’, and so on. No need to memorise what some scope means, you can just look at the set of flags. Another idea that I think would be useful is adding an optional Repository setting for an Artifact. With Maven, you can add repositories in addition to the default one (Maven Central at Ibiblio). You can have as many as you like, which is great for some artifacts that aren’t included in Maven Central. However, adding repositories means slowing down your build by a wide margin, as Maven will check each repository defined in the build for updates to each snapshot version of an artifact. Whenever I add a repository, I do that to get access to a specific artifact. Utilising that fact by having two kinds of repositories – global and artifact-specific, maybe – should be simple and represent a performance improvement. It’s painful to figure out what libraries cause the conflicts – sometimes, you know or can easily guess (like the fact that different versions of Spring packages can clash), but other times you need to know something a little less obvious (like the fact that Guava has superseded google-collections, something not immediately clear from the names). The tool could just tell you that you have binary incompatibilities on your classpath (I actually submitted a patch to the Maven dependency plugin to fix that, but it’s been stalled for 6 months). Once you’ve figured out what causes the problem, it’s a pain to get rid of all the places it comes from. The main tool at hand is the dependency plugin, and the way to figure out where dependencies come from is mvn dependency:tree. This lets you know a single source of a particular dependency. So for me, I wanted to find out where the spring jar came from – that meant running mvn dependency:tree, adding an exclude, running it again to find where else the spring jar was included, adding another exclude, and so on. This could be so much easier. And since it could be easier, it should be. What’s more, the problems are sometimes environment-dependent, so you’re not guaranteed that they will show up on your development machine. I’m not sure about the exact reasons, but I believe that there are differences in the order in which different class loaders load classes in a WAR. This might mean that the only place you can test if a particular problem is solved or not is your CI server, or some other environment, which again adds pain to the process. The configuration is rather verbose and you need to introduce duplicates, which makes your build files harder to understand at a glance. Making excludes a global thing, not a per-dependency thing. As soon as I’ve identified that I don’t want spring.jar version 2.5.6 in my project, I know I don’t want it from anywhere at all. I don’t care where it comes from, I just don’t want it there! I suppose there is a case for saying “I trust the core library to include google-collections for me, but not the common-web one”, so maybe global excludes aren’t enough. But they would certainly have helped me tremendously a lot of the times I’ve had to use Maven exclusions, and I can’t think of a case where I’ve actually wanted specifically to have an artifact-specific exclusion. Defining exlusion filters using a fluent API that includes regular expressions. With Spring in particular, you want to make sure that all your jars have the same version. It would be great to be able to say that you don’t want anything other than that. I’ve gone through different phases when thinking about using Java to configure builds rather than XML. First, I thought “it’s great, because it allows you to more easily use the standard debugger for the builds and thereby resolve Maven’s huge documentation problem”. But then I realised that the debugging is enabled by ensuring that the IDE has access to the source code of the build tool and plugins that execute the build, and that how you configure it is irrelevant. So then I thought that using Java to configure is pretty good anyway, because it means developers won’t need to learn a new language (as with Buildr or Raven), and that IDE integration is a lot easier. The IDE you use for your regular Java programming wouldn’t need to be taught anything specific to deal with some more Java code. I’ve now come to the conclusion that DSL-style configuration APIs, and even more, using the standard engineering principles for sharing and reusing code for build configurations is another powerful argument in favour of using Java in the build configuration. So I’ve gone from “Java configuration is key”, to “Java configuration is OK, but not important” to “Java configuration is powerful”. is something that stops you dead in your tracks when trying to puzzle out what the code in front of you does. So it is important to make your conditions easily understandable. Rather than documenting what you want the condition to mean, simply creating a tiny method whose name is exactly what you want the condition to mean makes the flow of the code so much smoother. I also think (but I’m not sure) that it is easier to keep method names in synch with code updates than it is to keep comments up to date. That was a bit of an eye-opener somehow. The name of the condition-method should describe the intent, not the mechanics of the condition. So the first take on the method name (hasPageNode()) described what the condition checked in a more readable way, but it didn’t describe why that was a useful thing to check. If this type of method names explain the why of the condition, I strongly think they increase code readability and therefore represent a great technique. As always, naming is hard and worth spending a little extra effort on if you want your code to be readable. Have I learned something about API Design? Some years ago, somebody pointed me to Joshua Bloch’s excellent presentation about how to design APIs. If you haven’t watched it, go ahead and do that before reading on. To me, that presentation felt and still feels like it was full of those things where you can easily understand the theory but where the practice eludes you unless you – well, practice, I guess. Advice like “When in doubt, leave it out”, or “Keep APIs free of implementation details” is easy to understand as sentences, but harder to really understand in the sense of knowing how to apply it to a specific situation. I’m right now working on making some code changes that were quite awkward, and awkward code is always an indication of a need to tweak the design a little. As a part of the awkwardness-triggered tweaking, I came up with an updated API that I was quite pleased with, and that made me think that maybe I’m starting to understand some of the points that were made in that presentation. I thought it would be interesting to revisit the presentation and see if I had assimilated some of his advice into actual work practice, so here’s my self-assessment of whether Måhlén understands Bloch. Just from looking at the code, it’s clear that the API has evolved over a period and has diverged a bit from its original use. There are some deprecated methods, and there are many ways of doing more or less the same things. For instance, you can get a URL part for a combination of product and category based on different kinds of information about the product or category. The reason I needed to change the code at all was to add information necessary for tracking click-through rates (CTR) to the generated URLs, so that’s why there is a new parameter in each method. Other than that, I’ve mostly removed things, which was precisely what I was hoping for. APIs should be easy to use and hard to misuse. Since click tracking, once introduced, will be a core concern, it shouldn’t be possible to forget about adding it. Hence it was made a parameter in every method. People can probably still pass in garbage there, but at least everyone who wants to generate a scorching URL will have to take CTR into consideration. Rather than @Deprecate-ing the deprecated methods, the new API is backwards-incompatible, making it far harder to misuse. @Deprecated doesn’t really mean anything, in my opinion. I like breaking things properly when I can, otherwise there’s a risk you don’t notice that something is broken. All the information needed to generate one of these URLs is available if you have a properly initialised Product instance – it knows which Category it belongs to, and it knows about its title and id. So I removed the other parameters to make the API more concise and easier to use. The old class was called ScorchingUrlHelper, and each of its methods called urlForSomething(). But it didn’t create URLs, it created the path parts of URLs (no protocol, host or port parts – query parts are not needed/used for these URLs). The new version returns an (existing) internal representation of something for which a URL can be created called a Target, and the names of the class and methods reflect that. I removed a lot of ways to create Targets based on subsets of the data about products and categories. I’m not sure that that strictly means that I followed this piece of advice, it’s probably more a question of reducing code duplication and increasing API terseness. So instead of making the API implementation create Product instances based on three different kinds of inputs, that logic was extracted into a ProductBuilder, and something similar for Category objects. And I made use of the fact that a Product should already know which Category it belongs to. Another piece of advice that I don’t think I was following very successfully, but it wasn’t too bad. 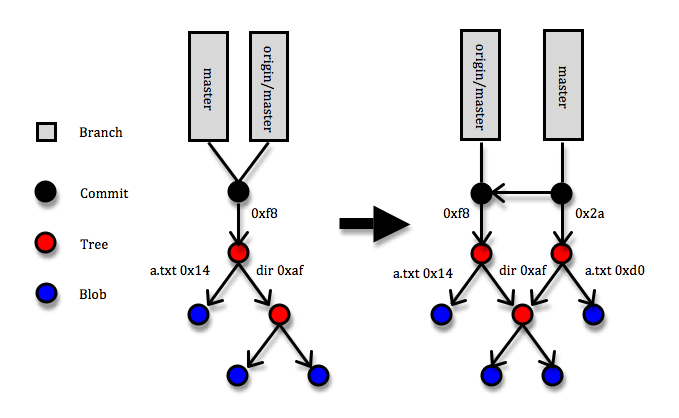 An intermediate version of the API took a CtrNode instead of a CtrPosition – the position in case is a tree hierarchy indicating where on the page the link appears, and a CtrNode object represents a node in the tree. But that is an implementation detail that shouldn’t really be exposed. Rather than using a String as the return object, the Target was more suitable. This is really a fairly large part of the original awkwardness that triggered the refactoring. I think I get points for this in two ways: using the Product object instead of various combinations of Longs and Strings, and for using the Target as a return type. I made the client responsible for instantiating the Product rather than allowing multiple similar calls taking different parameters. In this case, I think that avoiding duplication was the more important thing, and that maybe the library couldn’t/shouldn’t do that for the client. Or perhaps, “the library” shouldn’t be interpreted as just “the class in question”. I did add a new class to the library that helps clients instantiate their Products based on the same information as before. I made the client go from Target to String to actually get at the path part of the URL. This was more of a special case – the old style ScorchingUrlHelper classes were actually instantiated per request, while I wanted something that could be potentially Singleton scoped. This meant that either I had to add request-specific information as a method parameter in the API (the current subdomain), or change to a Target as the return type and do the rest of the URL generation outside. It felt cleaner to leave that outside, leaving the ScorchingTargetHelper a more focused class with fewer responsibilities and collaborators. So, in conclusion: do I think that I have actually understood the presentation on a deeper level than just the sentences? Well, when I went through the presentation to write this post, I was actually pleasantly surprised at the number of bullet points that I think I followed. I’m still not convinced, though. I think I still have a lot of things to learn, especially in terms of coming up with concise and flexible APIs that are right for a particular purpose. But at least, I think the new API is an improvement over the old one. And what’s more, writing this post by going back to that presentation and thinking about it in direct relationship to something I just did was a useful exercise. Maybe I learned a little more about API design by doing that!